Each Komet amplifier is meticulously hand built in Baton Rouge, Louisiana, U.S.A. The greatest attention to detail is given to each product before it leaves our shop. All of our transformers are of a custom proprietary design, and are also 100% made in the USA. Each amplifier is hand wired with silver tinned Teflon wire on glass-epoxy tag boards. Our chassis are laser cut, welded aluminum — chosen for superior tonal response. We use 2 Watt, military grade potentiometers and assemble all of our amplifiers with stainless steel screws and bolts. Our control panels, capacitors and switches are of the absolute highest in quality. These are just a few of the details you’ll find in every single Komet amplifier. The Komet™ 60 HD combines the best of both characteristics of the Komet 60 and Concorde. The HD model transforms the sweet, musical sounding pre amp circuit of the Komet 60: it's versatile output stage capable of using a variety of power tube types, with the stout, solid state rectified power supply of the Concorde. 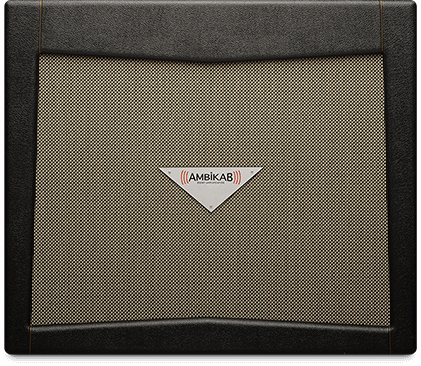 AmbiKab innovation provides a unique solution to the age old problem of applying ambient, time-based effects to an amplifier’s sound without degrading the original sound in any way. Custom made for Trey Anastasio The Komet TA have a versatile output stage capable of using a variety of power tube types. 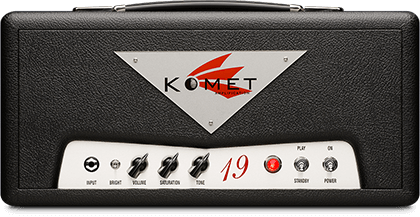 Komet cabinets deliver impressive dynamic power and depth of tone with bold, tight low end, complex mids and smooth singing highs. K.O.D.A. is a remarkably tunable pedal that offers an exceptionally amp-like overdrive structure with amazing gain-staging flexibility in 3 different circuit positions.